Nestled in the cloisters with views across the leafy courtyard, Illariy offers a beautiful setting for a refined culinary experience. Enjoy delicious breakfasts or light lunches packed with Mediterranean flair, from tender Peruvian beef to zesty lemon tarts. Weather permitting, you can dine beneath the warm blue skies in our open-air courtyard. 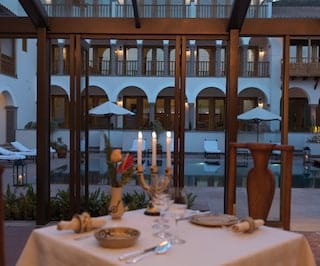 Be tempted by exquisite international cuisine, featuring locally sourced ingredients, in intimate El Tupay. 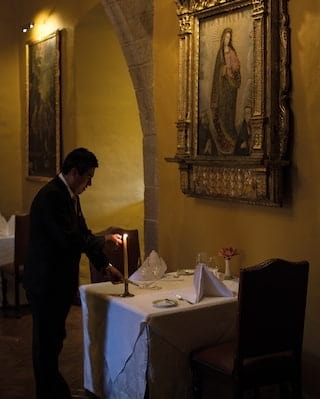 Three nights a week, the romantic arches resonate with the operatic sounds of Cusco’s best tenor and soprano—heightening your sensory feast. The ambient lounge is also perfect for a smooth aperitif, post-dinner cocktail or cozy glass of wine with friends. Renowned among Cusco bars, a tranquil atmosphere offers the perfect place to relax with a traditional pisco sour and selection of delectable canapés. Join us at the Lobby Bar to unwind after a day of adventure and swap stories with fellow travelers. On chilly afternoons, sink in front of a roaring fire and enjoy the smooth sounds of the city’s finest Jazz musicians, freshly blended cocktail in hand. Artfully prepared, home-baked breads are filled with delicious meats and cheeses. Tempting cakes and pastries are also on offer, accompanied by enticing teas and South American coffees. 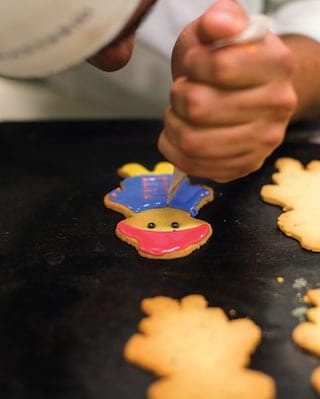 There’s something to tempt everyone at Belmond Palacio Nazarenas. Whether you drop by Senzo Bar for a refreshing poolside Mojito or indulge in a four-course taste sensation at the elegant restaurant, you’ll find yourself entranced by the hotel’s vibrant South American style. Exotic Andean delights include tender confited guinea pig, crispy crackling pork and creamy prickly pear cheesecake. Treat yourself to the delights of Peruvian cuisine with this special package. With its unique ambience, Belmond Hotel Monasterio is the perfect place to host a memorable social event or corporate function.